How do I attack my credit card debt? Home / Blog / How do I attack my credit card debt? Comments Off on How do I attack my credit card debt? If you’ve been at it very long, you’ve already figured out that living by faith isn’t always easy. To believe and act on God’s Word so that you can attack your credit card debt, pay off your bills and become debt free, you have to go against the grain of the whole world around you. You have to be tough. Here are four strategies for living the debt-free life, and no matter where you are on your journey, you can live by them and experience financial freedom. You are in a battle for your spiritual and financial freedom. You will not win without a fight, but there are times when you need continued strength to keep fighting “the good fight of faith” (1 Timothy 6:12). You have to keep your mind and your spirit strong. How do you do that? By hearing the Word. Turn off your TV and radio, put down the newspapers and magazines that want to teach you how to “manage” your debt and start listening to spirit-filled ministers like Kenneth and Gloria Copeland, Bill Winston, Jerry Savelle and others. Stir up your faith so that you are ready to stand strong for the battle. So often people look at their debt as one, big lump sum when, in fact, they have multiple credit cards. Instead of focusing on the big sum, break it down. Write down a list of how much you owe on each card. Include each monthly payment and expected end date. Understand, this is just a natural schedule, and God wants to do supernatural miracles in your finances. But you need to understand where your debt is right now and understand how you are going to start your battle against it. As you stand in faith for your finances and pay each payment on time, begin putting extra money (no matter how little) toward your smallest credit-card debt. Once your first bill is paid off, then move to the next, putting all the money from the first bill toward the second. As you understand the battle and begin diligently working to pay off each debt in order, God will reward your diligence (Proverbs 10:4). Once you begin to stir up your faith against your credit-card debt, don’t ever again make the mistake of using those cards to finance your life. Get into the Word about your finances, take classes from trusted, Christian financial leaders and get rid of the credit cards that are tempting you. When you finally get free from credit-card debt, determine never to tolerate it again. 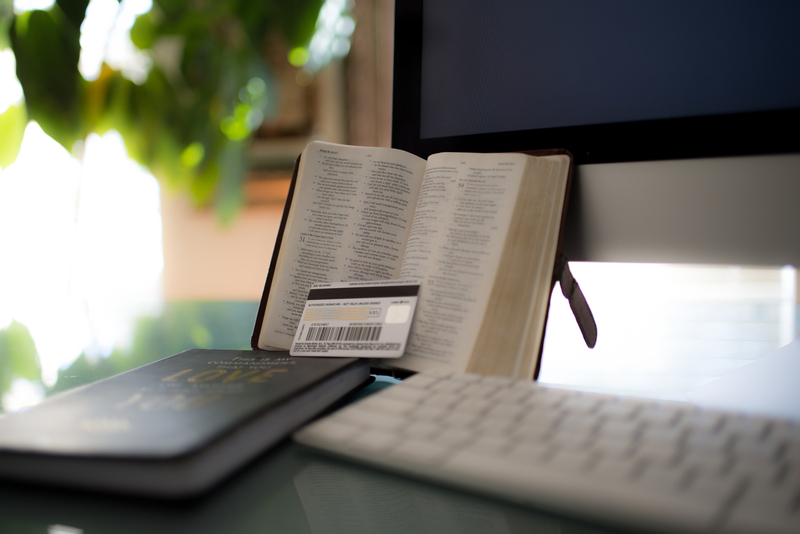 God wants you free from credit-card debt. He’s on your side! As you commit to stir your faith against your debt, then understand and attack that debt with the Word, you’ll receive a reward—freedom! Then determine to never let credit-card debt control you again. Now get busy; you’ve got a mountain to attack! Copyright © 1997-2016 Eagle Mountain International Church Inc. aka Kenneth Copeland Ministries – All rights reserved.